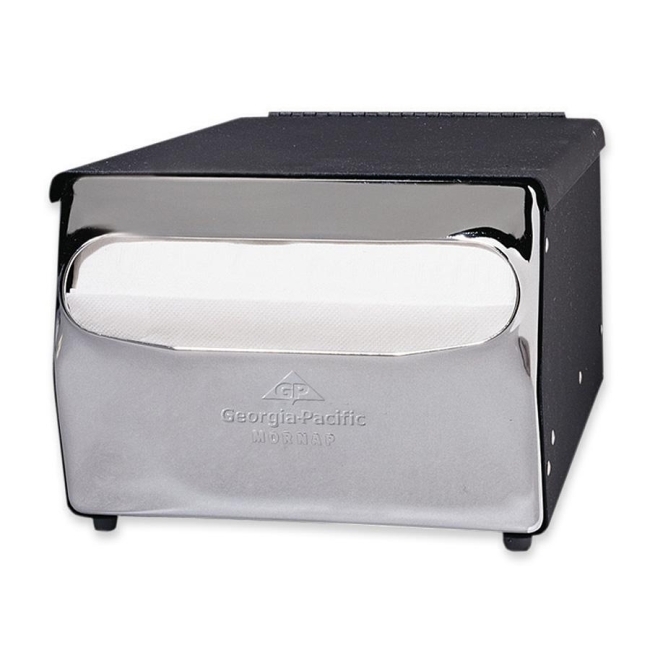 Cafeteria napkin dispenser holds up to 225 MorNap or 255 MorNap Jr. napkins and delivers quick, consistent access to napkins. Ideal in busy food service areas. Durable steel construction holds up in high traffic areas. Full-fold napkin dispenser holds 5" x 6-1/2" folded napkins.